Anticuchos are a Peruvian staple, street food made from chunks of meat marinated and served on a stick. 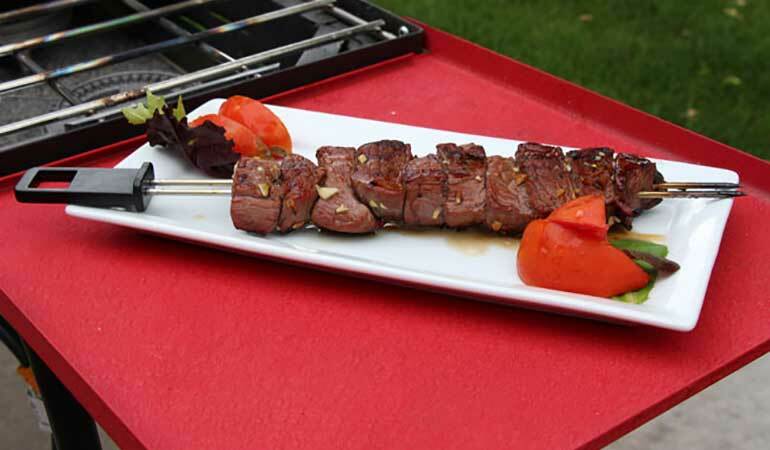 While this marinade recipe was developed for deer heart, it works just as well with tender bites cut from the eye of round or other rear quarter roast. Combine all ingredients, except red wine vinegar and water, in a small food processor and pulse to form a thin paste. Whisk the pepper paste into a bowl with the vinegar and water until everything is well mixed. Add sliced deer heart or tender chunks of venison and let soak for 4 hours before grilling on skewers.